As much of an honor it is to be named the Practice of the Year, the process that got us there was equally as enjoyable. Being nominated by a highly-respected industry colleague, then working with our internal team to complete the Nomination Form, gave us a chance to really appreciate each and every one of our teammates and colleagues, as well as the amazing field we’re so lucky to be in, which helps our fellow man get “back to life”. Here we show you all the documents and media associated with this process, from initial recommendation letter through the acceptance speech, and our announcement. We hope it becomes a ‘time capsule’ of sorts, and allows us to look back on this time with great reverence for years to come. The official “Letter of Support,” authored by Alan Balavender, President of PTSMC in West Hartford CT, offers additional insight into why SPEAR’s team members stood out in 2016. The Jayne L. Snyder Practice of the Year Award is given to a practice for innovative operation or a specific project, which promotes a positive image of physical therapist-owned businesses in the community. It also acknowledges an individual member who has made outstanding and enduring contributions to their community. 1) Demonstrate innovative operation or a specific project which promotes a positive image of physical therapist-owned businesses in the community. 2) Have positively affected the shape, scope and a quality of physical therapist-owned businesses. 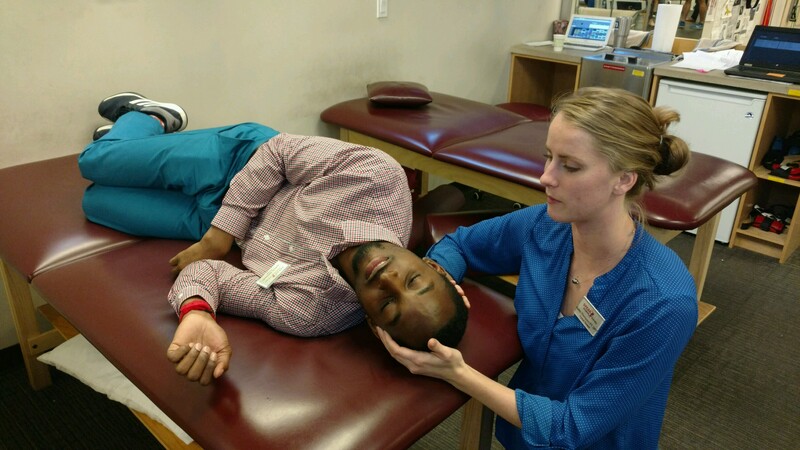 3) Have contributed to the overall and enduring development of physical therapy as a caring profession. 4) Demonstrate a commitment to mentoring. Always Improving -- Even Our Look! “It is our belief that we are not put on this earth to simply be who we are. We are here to evolve, develop, self-actualize. That is the fractal inside SPEAR at every level. 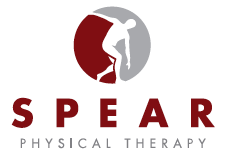 In our logo, SPEAR’s origin is symbolized by maroon, our original color palate, currently going into its 18th year. However, we are evolving, moving forward, and shaping our future. The blue sky color we have introduced represents the future that we see for our team, our patients, our community. The nexus between the blue sky and the labor of love (maroon) is the deep red where the magic happens, where we heal the world, our patients and ourselves, one relationship at a time. Going into the future, stronger, together. 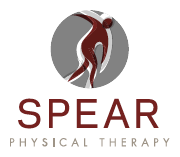 The SPEAR team has worked to outperform itself each and every month for 18 years. In that time, we’ve grown from two guys sharing one treatment room to 150 team members across ten NYC locations. We thought it was time for our second logo refresh. Change can be hard. But change can be good. And we believe that we accomplished a quality change. But it wasn’t easy. Vision: Show ourselves to be a great COMPANY, with a vision for the future; not just a great PHYSICAL THERAPY company. Never forget: Provide A NOD TO OUR PAST, but evolve beyond our current design. Relationships: Continue to focus on our highest business priority: RELATIONSHIPS. The relationships we’ve built, and continue to build, with referring physicians, local hospitals, our amazing team, community fundraising organizations, and of course the thousands of individual New Yorkers we build bonds with each and every day that we are here to serve. We wanted to have a recognizable icon that could be easily used across multiple platforms, specifically from business cards and t-shirts, to Facebook and Twitter. And the SPEAR guy was first place to start. He symbolized activity and health, seemed to offer an obvious acknowledgment to what type of company we were, formed an abstract “S” to hint at the first letter of our name, and had been with us through two logos and nearly 18 years! So in an effort to honor our humble beginnings, we brainstormed numerous versions of a new “SPEAR Guy.” We aimed to maintain our past and ensure our loyal followers could immediately recognize our new look. But to the SPEAR team, none of these evolutions properly displayed our focus on RELATIONSHIPS, and none even hinted towards a VISION of continual improvement. And as we researched industry competition a bit more, we realized this symbol of an abstract human became just too cliche for the industry. (Google it and you will see!) It seemed that achieving a unique look by keeping our “SPEAR Guy” icon might be an impossible task. And besides, maybe it was time to completely reinvent ourselves. 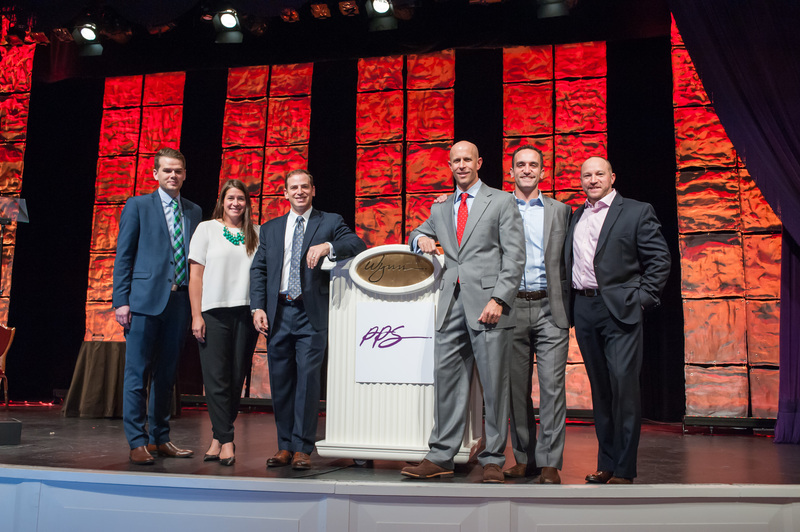 Once again, the mantra is that we are now a great company in general — not just a great physical therapy company. We became more specific in certain terms we wanted to drive the design, and even practiced using them when explaining the logo to people who asked. These terms included: unity, bond, friendship, interdependence, dynamic, fluidity, aspiration, direction, wholeness, goals, connectivity, movement, power, excelling, guidance, drive, focus and healing. Relationships: Bonding, Interdependence, Interconnectivity, and Alignment. Vision: Growth, Direction, Outperforming, Improving, Aspiration, Goals, Movement, Excelling, and Guidance. We began to eliminate from here. The sharp, pointed-edge icons were eliminated because we believed the subconscious fear of sharp edges in healthcare. We eliminated the “S” icons because they were too similar to other logos, and simply didn’t offer that subjective beauty we were looking for. The hand icons seemed too literal, and may have given viewers the sense that we only treated hands, so they were also eliminated. Legs: When upright they appear to be abstract legs, which we know are the base of a person’s body and activities. Overlap: Overlapping lines and colors, which represent how interdependent our business and people have become, and how each of our parts become “multipliers” in our vision. Our whole is greater than the sum of our parts. And of course one more literal use that needs very little interpretation: it will be used to spell the “A” in SPEAR. Without our SPEAR Guy or “S” icons turning more into an abstract symbol, the only way for us to honor our past was through color. The maroon color had been with us from Day 1, and the gray for eight years as a highlight and text color. So we started there. But we needed more. We wanted to add a noticeable “pop,” for lack of a better word, and hoped to catch the eyes of today’s surfers and skimmers. But it quickly became much deeper than that. As we put more thought into the importance of color, our CEO, Dan Rootenberg became more reflective. In our discussions, we unearthed a deep belief: that we were not put on this earth to simply be who we are; we are here to evolve, develop, and self-actualize. That is what SPEAR symbolizes. So the SPEAR origins shall be symbolized by the maroon, our 18-year-old color who will NOT be moving out this year. However, we are also evolving, moving forward, and shaping the future. How do we symbolize that through color and not just through our logo’s icon? Blue. Our blue sky approach to growth. The blue sky represents the endless sea of unlimited future growth and opportunity that we see for our team, our patients, and our community. It’s our visionary approach that we believe offers unlimited potential for our team and community. The nexus — where the colors from each side of the “Upward A-Legs” overlap and combine — identifies where and how “the magic happens.” Our blue sky vision of the future combines with the deep maroon color of our labor of love from the past. This is where the healing occurs, where doctors meet our therapists who meet the community that makes life. Most importantly, this is where patient and therapist meet to depend on each other to get back to life — one relationship at a time, stronger together. One more note about the typeface. You will notice the letters are spaced out with room to grow; the room we all need to occasionally make mistakes, to not be perfect, never to be finished. And the letters themselves are rounded, uncrowded without sharp edges. They seem to be still evolving, much like each of us, sturdy yet still strong. Thank you for giving our company the chance to positively impact your life, and we hope our “Upward-A” becomes an inspirational icon as we get you Back To Life. Because we know that Life Can’t Wait. Each year, The American Physical Therapy Association’s (APTA) Private Practice Section (PPS) grants the Jayne L. Snyder Practice Award to the single Physical Therapy practice that best represents and contributes to the physical therapy industry. And that was us! 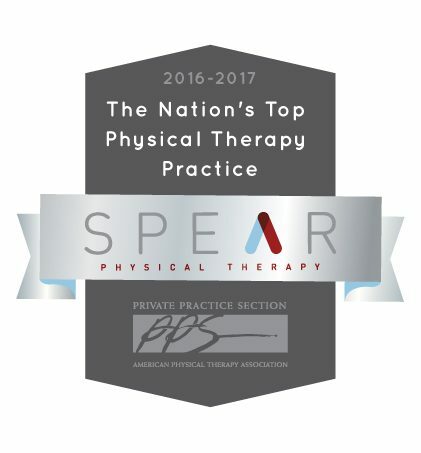 Long story short: because our staff is focused on impacting lives, we have been named the nation’s top physical therapy practice! This all comes on the heels of us receiving a year’s worth of unprecedented recognition. But this, the most coveted annual private practice award in the industry, takes the cake! 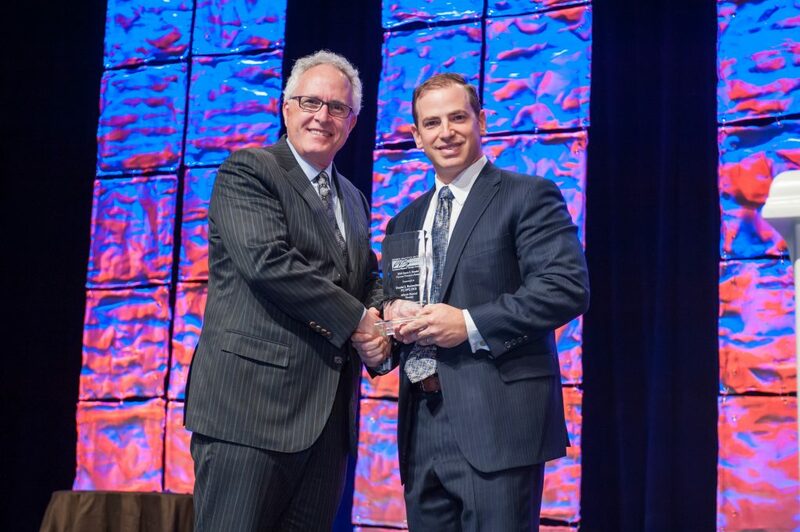 The award itself is called “the Jayne L. Snyder Practice Award,” and our co-founder, Dan Rootenberg, PT, DPT, CSCS received the award in front of his cheering executive team and hundreds of industry professionals at the PPS Annual Conference in Las Vegas on October 22nd. The PPS receives multiple Jayne L. Snyder award nominees each year from the more than 50,000 private practices across the country. These nominees are nominated by both peers in the industry, and by the PPS governing body. 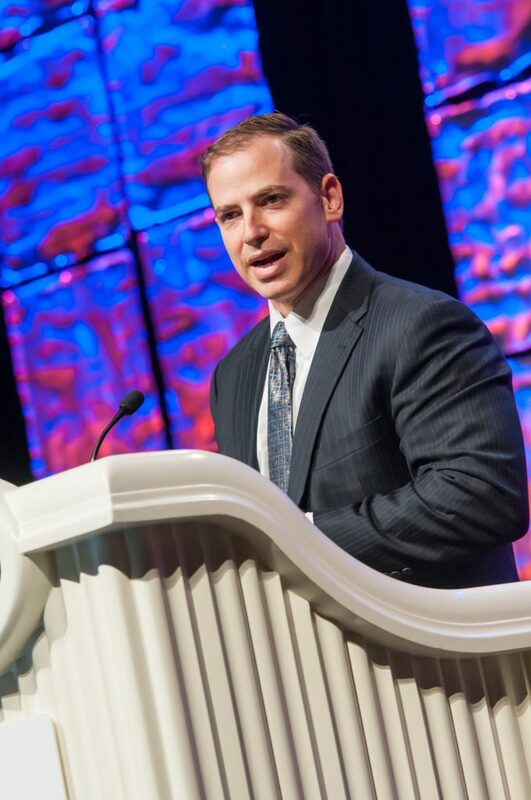 After review by a committee, the award is ultimately given to the only private practice that has shown it’s made the largest impact on, and increased the visibility of, the entire nation’s physical therapy industry. 1) Demonstrated innovative operations and involvement in specific projects that promoted a positive image for the industry. 2) Had positively affected the shape, scope and the quality of industry businesses. 3) Contributed to the overall and enduring development of physical therapy as a caring profession. 4) Demonstrated a commitment to mentoring. We are honored to receive this award, and it has inspired us to continue to be the best representative of the industry we can possibly be. We hope you see that shining through each and every employee and interaction we have with each and every one of you. Is Dizziness Just a Part of Normal Aging? For most of us, feeling dizzy, off balance, or like the world is spinning only happens when we’ve over-indulged in our favorite drink. But for people with vestibular disorders, these symptoms can be a frequent, and often debilitating, occurrence. Dizziness and vertigo are relatively common. In fact, as many as 35% of people over 40 years or older in the U.S. have experienced some form of vestibular dysfunction(1), and in people over 65 years and older, 80% have experienced dizziness(2). Overall, vertigo from a vestibular problem accounts for a third of all dizziness and vertigo symptoms reported to health care professionals(3). Your vestibular system is composed of three canals and two sacs which are filled with fluid. The fluid shifts when you turn your head or change positions and stimulates hair cell receptors to tell the brain what is happening. The brain uses this information to maintain your balance and help your eyes stay focused. Problems in the vestibular system can be caused by how/when the receptors fire or by problems with the nerves that transmit this message to the brain. The most common cause of vertigo is benign paroxysmal positional vertigo, or BPPV, accounting for about 50% of dizziness in older people.4 In those with BPPV, particles from the sacs get caught in the canals and cause the hair receptors to fire when they shouldn’t be. This causes vertigo, a sensation that the world is spinning. This vertigo can happen with changes in head position, like lying down in bed, laying on your side, looking up, or getting out of bed. In most cases of BPPV, a physical therapist trained in vestibular rehabilitation can clear these particles from the canal to relieve the feeling of vertigo in one or two sessions. Other disorders of the vestibular system affect the vestibular structures themselves, vestibular nerves, or areas in the brain that receive input from the vestibular structures. In these cases, a patient can experience dizziness or vertigo with certain movements like turning the head quickly or bending over to put laundry away. Vestibular rehabilitation can help these patients minimize or eradicate these symptoms through specific exercises. 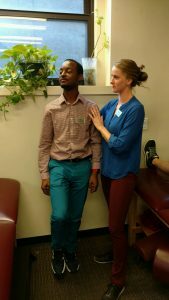 These exercises help the patient’s brain to correctly integrate input from the vestibular system, as well as from the eyes and body to decrease dizziness and improve balance. For most people, dizziness is not something you just have to live with. It is not a normal part of aging. And most importantly, it is something that can be improved! If you or someone you know is experiencing dizziness, vertigo, or problems with balance, I encourage you to consult with your doctor and see if vestibular rehabilitation might help. 2. Ator GA. University of Kansas Department of Otolaryngology Division of Otology Talk: Vertigo – Evaluation and Treatment in the Elderly. http://www2.kumc.edu/otolaryngology/otology/VertEldTalk.htm. 3. Neuhauser HK, Radtke A, von Brevern M et al. Burden of dizziness and vertigo in the community. Arch Intern Med. 2008;168(19):2118–2124. 4. Fife TD, Iverson DJ, Lempert T, Furman JM, Baloh RW, Tusa RJ, Hain TC, Herdman S, Morrow MJ, Gronseth GS. Practice parameter: therapies for benign paroxysmal positional vertigo (an evidence-based review): report of the Quality Standards Subcommittee of the American Academy of Neurology. Neurol. 2008;70:2067–2074. 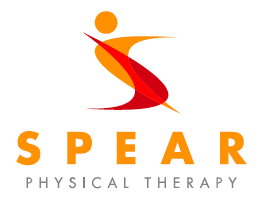 If you haven’t heard by now, SPEAR’s Director of Clinical Education, Jeremy Crow, is so good that the Olympic Committee chose him to prepare our Olympic athletes at the U.S. Olympic Training Center, and to travel to Rio to treat the WORLD’S Olympic athletes! But what did these stories NOT tell you? 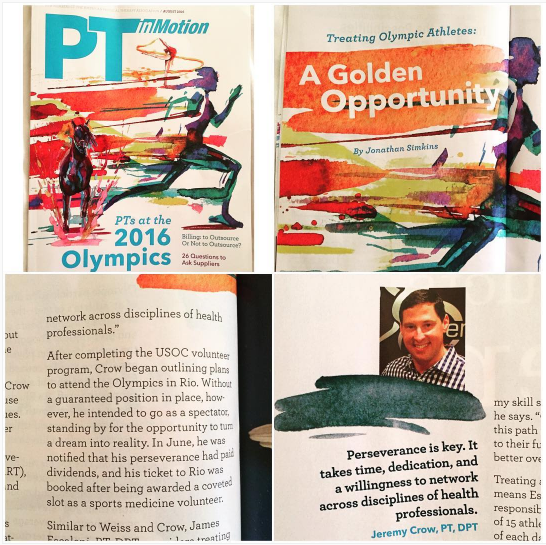 What mainstream, non-clinical excitement and challenges did Jeremy face, and what was his behind-the-scenes take on the Olympic headlines? We’ll tell you what you don’t know, and show you what you haven’t seen! You undoubtedly saw Michael Phelps debut his deep red circles at the Olympics. The treatment causing these circles is best known as “cupping.” Jeremy tells us that its official name is myofacial decompression (MFD), and that it’s a traditional Chinese therapy adapted to the field of sports medicine. After spending a few week as a sports medicine volunteer at the United States Olympic Training Center in Colorado Springs last year, Jeremy saw first-hand most of the resident Olympic athletes requesting cupping as part of their maintenance recovery programs. Some male gymnasts even had their own sets. For the actual Olympic games in Rio, he also saw — first-hand and up-close — the procedure being performed on many athletes, including Michael Phelps himself. Placing the “cups” (not the kind you drink from, of course) on the body increases blood flow to that area and draws toxins from the deeper tissue to aide in healing. The negative pressure from the cups will lift the fascia to allow for lymphatic drainage of toxins, as well as stretch this tissue. By restoring the normal tissue movement it can eliminate pain and any mechanical deficiencies caused by the restricted soft tissue. The traditional way of using MFD was to mimic the meridian lines of the body. The cups are placed along these meridians to elicit changes within the body. There are a few different techniques that can be used: some more passive when the cups are moved along the area of restriction to a more aggressive way: after placing the cups on a certain restricted areas, the patient is asked to perform an active movement. It can be used to treat myofacial strains to soft tissue restrictions unrelated to injury. Everyone from your high school athlete to your weekend warrior can benefit from it. However, it’s important for patients considering cupping to understand the side effects. Those deep red circles could last over a week, and can cause immediate soreness. In fact, since his return from the USOTC, Jeremy has been offering cupping to about 1/4 of his patients at SPEAR. Reach out to us if you’re interested in receiving cupping treatment. The Gold Medal Up Close! Jeremy had the chance to hold an actual Olympic Gold Medal, which weighs about a pound. Fast Fact: The “Gold” medal contains just around 6 grams of gold, and mostly consists of silver (92.5 percent pure silver). For the first time ever, the Gold Medal winners did not receive flowers with their medal. Instead they received a small sculpture of the logo — which not only lasts longer than flowers and can be saved more easily, but also has much less impact on the environment. Jeremy met Hoda Kotbe, and got up close enough to capture great photos of: Brazilian soccer (futbol) great Neymar; gymnast and U.S. favorite Simone Biles; U.S. Men’s Volleyball star Micah Christenson. It wasn’t all just work! Jeremy met many athletes and therapists from all over the world Stronger bonds with other Doctors he already knew from NYC and the USOC, and new friendships from a global world of therapists with unique experiences. Seriously: No Translators for the Therapists!? There were three official languages at the Rio games: French, English and of course Portuguese. But there were 8,000 translation volunteers focusing on the translation of 30 different core languages to the viewing public. So surely Jeremy had a translator help him while providing precision treatment to the World’s Greatest Athletes, right? Jeremy and the other therapists from around the world were on their own trying to understand dozens of languages. Jeremy treated a Egyptian who only spoke Arabic, a Chinese woman who only spoke mandarin, and a another athlete who only spoke dutch! And although Jeremy did brush up on his Portuguese by taking classes for a few months, he had no idea how to speak those three languages! Jeremy had to learn the hard way about different rules and cultural norms when it came to Olympic team guidelines and the treatment of athletes from different countries. When an Egyptian volleyball player became seriously injured (with what later Jeremy found out was an actual ankle fracture! ), Jeremy surprisingly never received the green light from the referee to assist the player on the court. Instead, the injured player’s teammates carried him off the court in a rudimentary and seemingly unsafe fashion (Jeremy described it as if they were “carrying a sack of potatoes.”) Jeremy assisted once the player was on the sideline, but the MD arrived and the official abruptly told Jeremy to leave. They iced the player, and sat him there for the entire remaining portion of the match. Immediately after the match, Jeremy and a one of the orthopedic surgeons quickly wheeled the injured Egyptian athlete to the training room for an X-ray and MRI. Simultaneously, Jeremy could see an Egyptian representative verbally fighting, in Arabic, with the original physician. After the chaos calmed, Jeremy finally learned that some athletes were not allowed to be treated because they may be randomly drug tested — and certain treatments and/or medications could alter the results. It all worked out in the end, but it was quite a spectacle that taught Jeremy grace under pressure! Open ceremonies was one of his most memorable moments. He was nervous to go alone since it was his first night in Rio. He had reservations because of safety concerns. However, once he arrived at the Maracana Stadium the energy and excitement became contagious and it wiped away his worries. An ice-breaker with the girl next to him helped ease the tension also. They swapped pictures for each other to help remember the moment, and in no time the entire fan section was talking and celebrating together. Also, seeing the world famous Rio native Gisele Bundchen (Brady?) walk across the stadium to “Girl from Ipanema” was even more incredible in person than it was on television. The theme of the Olympics — and therefore Opening Ceremonies — was to accept everyone for who they are, no matter what their ethnicity, gender, age, nationality, or sexual orientation. It was a 2 week period were everyone tried to compete at their best to win the ultimate goal: to be an Olympic Champion.